Bored of the same old tired templates? Add some sparkle to your invoices with these fully customizable designs. The designs are based on the latest industry standards, the templates allow you to quickly add sales totals, subtotals, and taxes all on one page. You’re waiting for an invoice to be paid by a client and have yet to receive your money. You call them to find out what’s going on, only to be told that your invoice is at the bottom of the pile, along with countless other black-and-white pieces of paper. Want to encourage your clients to pay you faster? 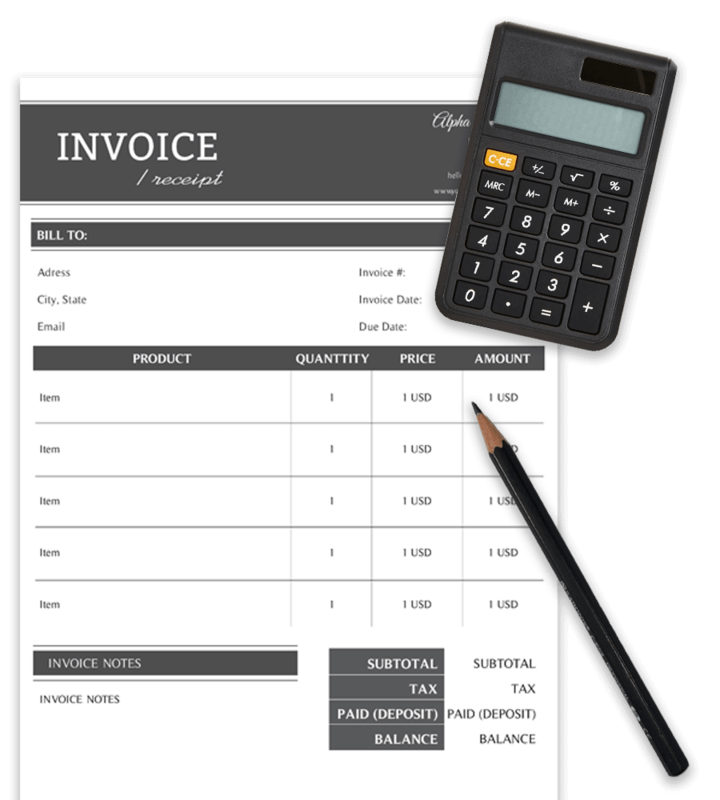 The custom invoice templates you find here are a quick and easy solution to this problem. I believe in creating unique designs that are completely customizable for businesses of all sizes. The result? 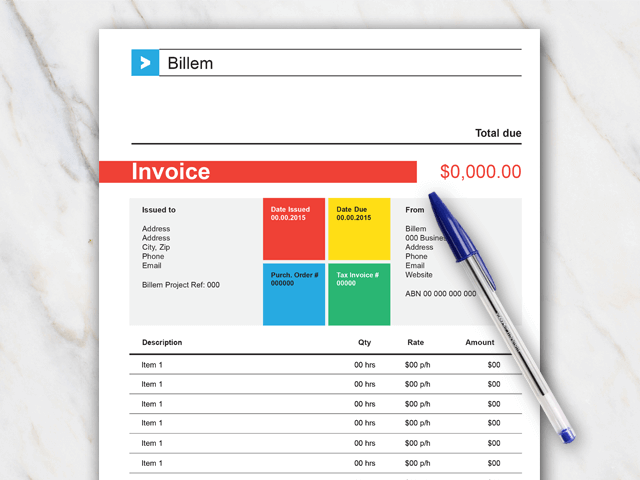 An invoice that details your request and ensures prompt payment. The templates include headers and other useful information, but are completely adaptable, allowing you to input different payment details like dates, goods purchased, and tax. You can even include contact details if a client or customer wants to query something on the invoice. Having a uniform design for all the invoices you sent out can make it easier for you to track payments and keep a record of any requests you make. 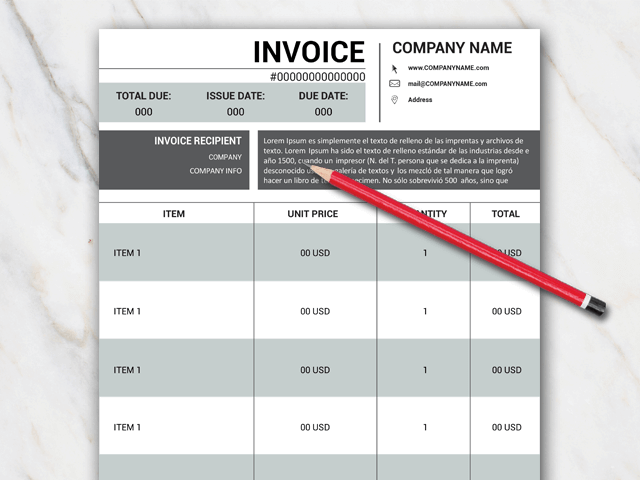 These templates will allow you to invoice customers and clients quickly and easily. 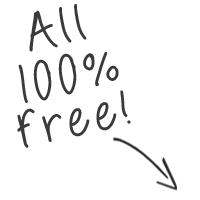 I understand that hiring a professional designer to create invoices for your business can be expensive, but yet so many of the templates available on the market are completely uninspiring. 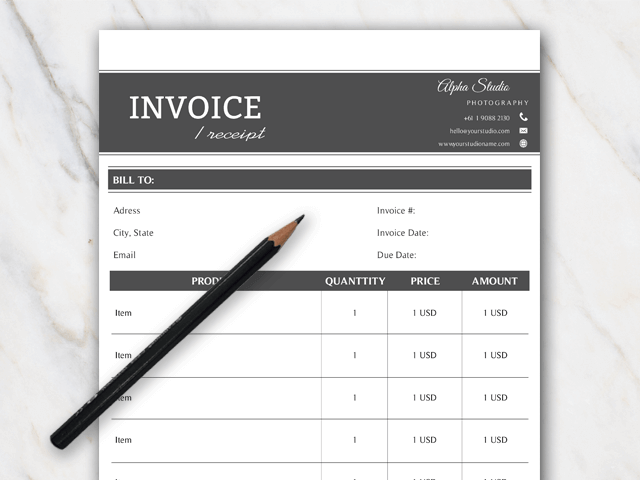 If you want to attract the attention of your clients, an invoice template will streamline the payment process by making it a lot easier for them to find out what they are paying for. Go one step further and inform your clients on how they can make a payment. This can speed up the time it takes from the invoice first being sent to payment being received. Your clients and customers will love how professional your invoices look and you will be able to relay important information on one page without causing confusion. Unlike other templates which don’t leave you enough space to input totals and payment information, the designs you find here are contemporary and can be tailored to your business. Are you a small enterprise that only sends out invoices to a handful of clients? A medium-sized company with hundreds of contacts? No problem. 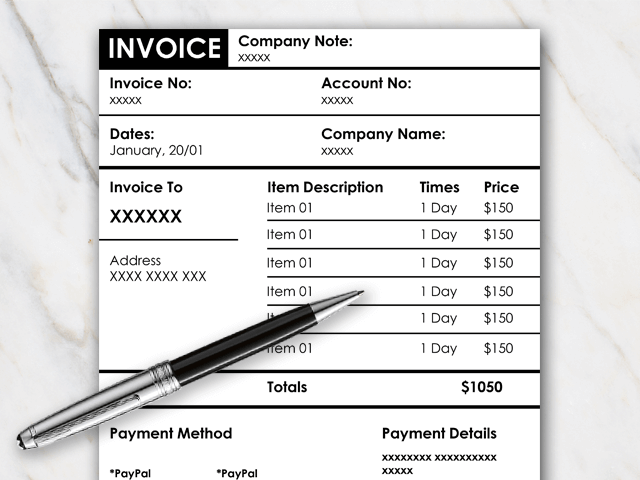 Regardless of the type of industry you work in, an invoice template can provide your company with a number of benefits. Here’s something to make your eyes water: did you know that a whopping 170 billion invoices are generated every single year across the world? If you want your invoices to stand out from the crowd, choose one of the custom design templates from Temploola today! Your business will come across as more professional and you can encourage your customers and clients to pay you in a quicker timeframe.